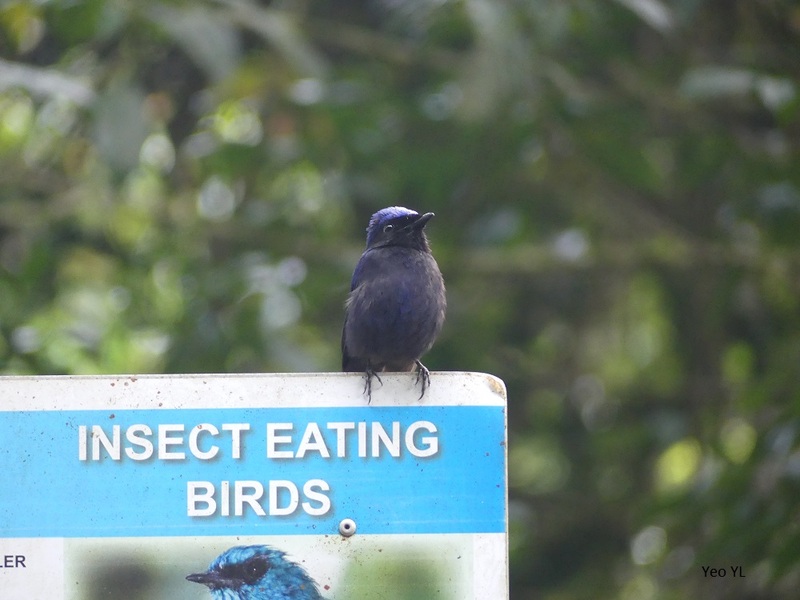 Large Niltava (Male) was perched on this signboard promoting "Insect Eating Birds" along Jalan Lady Maxwell when we arrived to do a bit of birdwatching around that area. It was literally Lord of the Billboard. Such a comical sight indeed, a Niltava sitting on a billboard which actually had its picture with information printed on this billboard. 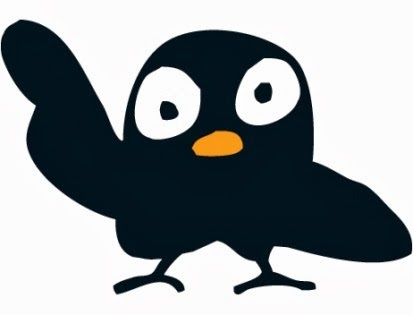 Headline-grabbing Niltava! 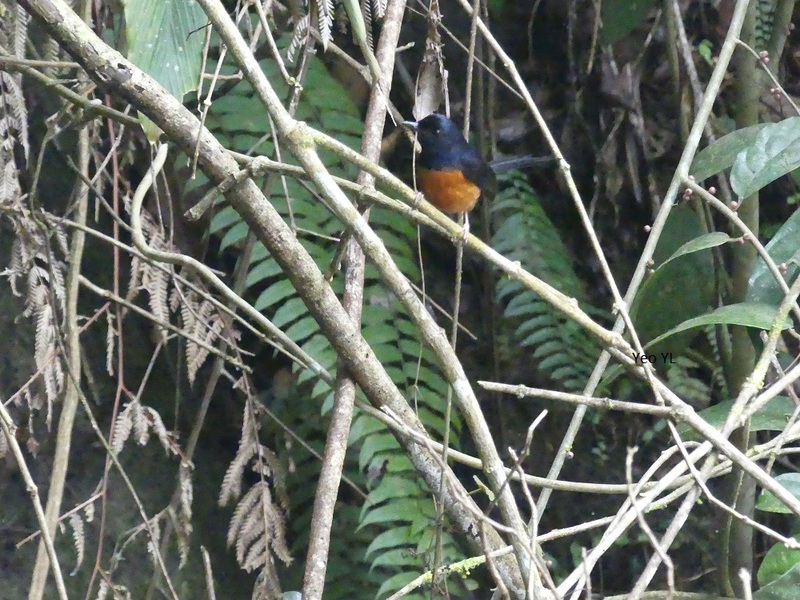 The White-tailed Shama was flying about on the slopes below Silverpark Apartments. Surprising to see it at this elevation and in Fraser Hill. 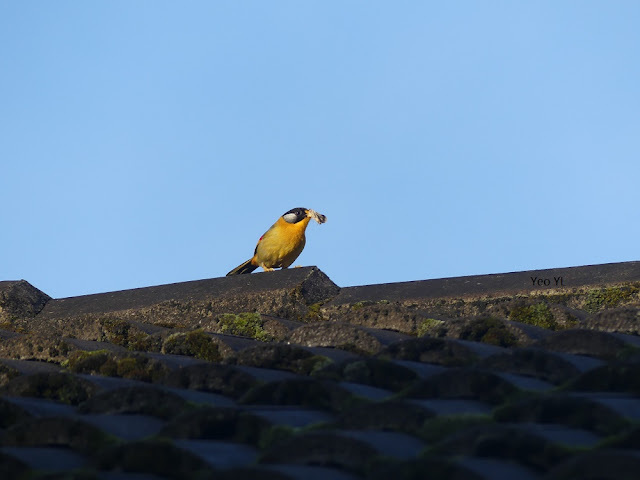 Only 1 individual was seen that mid-morning. Didn't see the Wedge-Tailed Pigeon at High Pines that Sunday morning. 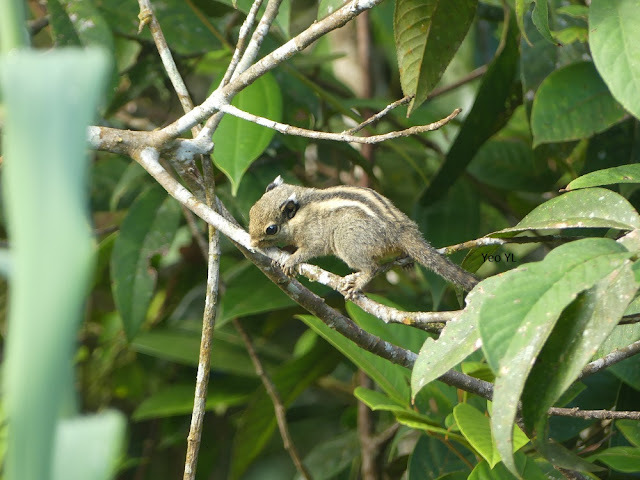 A Himalayan Squirrel was nevertheless a welcome sight after the relatively quiet post-Sri Berkat bird wave. 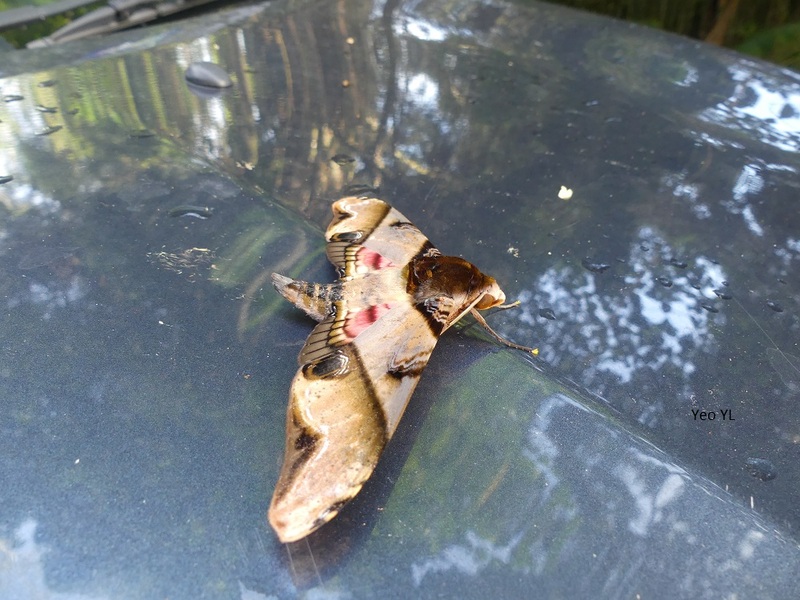 This huge moth was hidden in between my car windshields from Sri Berkat and accompanied Maye and me in my car all the way from Seri Berkat to High Pines. We "unstuck" the moth and placed it on a dried leave at the forest edge near Jalan Lady Maxwell. My car turned into an insect mobile carrier that Saturday - insects were clinging onto my car exterior as I drove around Fraser Hill that Sunday morning, with Maye. Second final stop for birdwatching was along Old Gap Road. 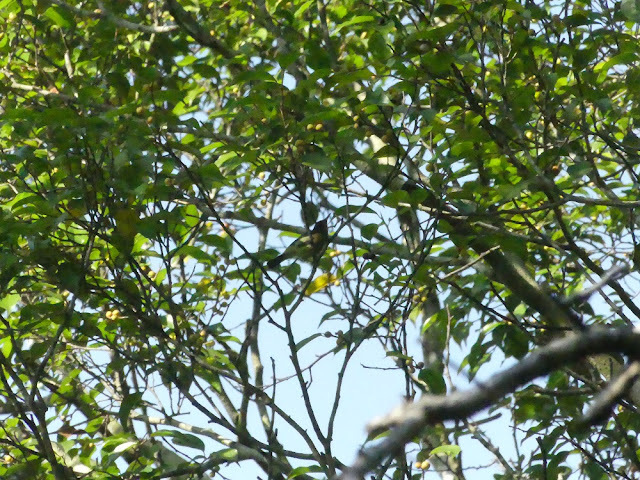 A pair of male and female Little Pied Flycatcher greeted us at the start of our walk that Sunday. The male Little Pied came really close to Maye and myself. This tiny bird is almost the size of a golf ball. It hopped onto the signboard and then the side of the road, giving us a really good view of it. 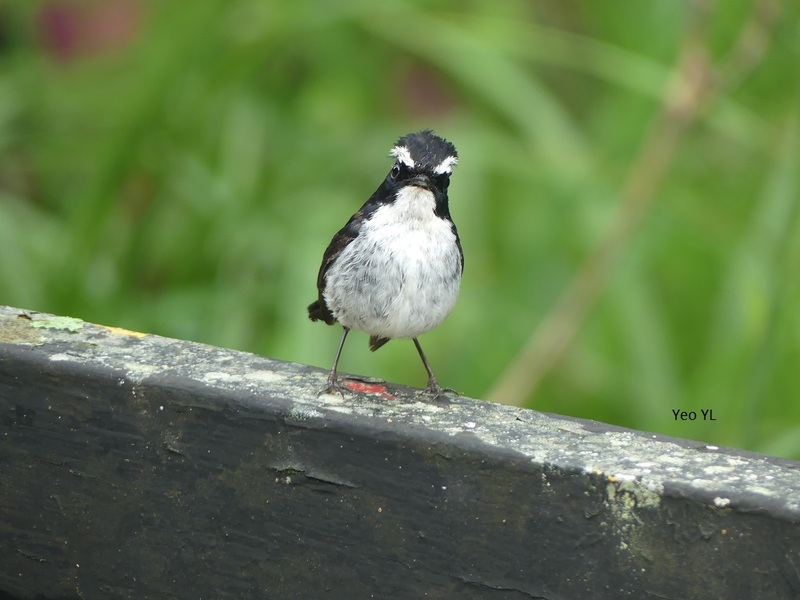 This flycatcher was all fluffed up and raised its white eyebrows in such a comical fashion. Lovely sighting at the beginning of our walk! 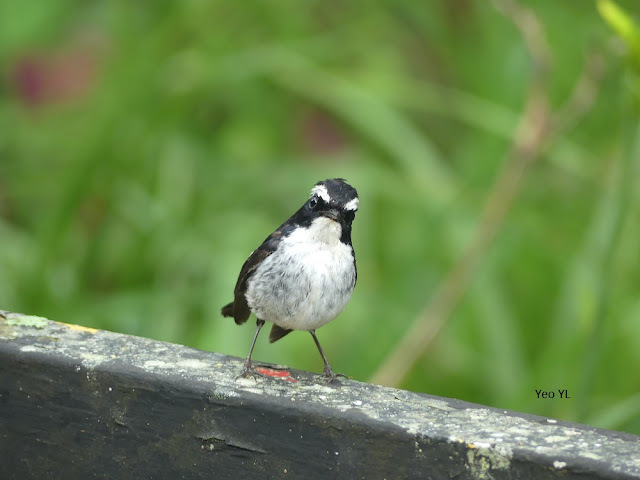 Little Pied Flycatcher above, raising its eyebrows so high - in an Angry Bird mood! Never knew it had such snowy white eyebrows until I saw this picture of mine. 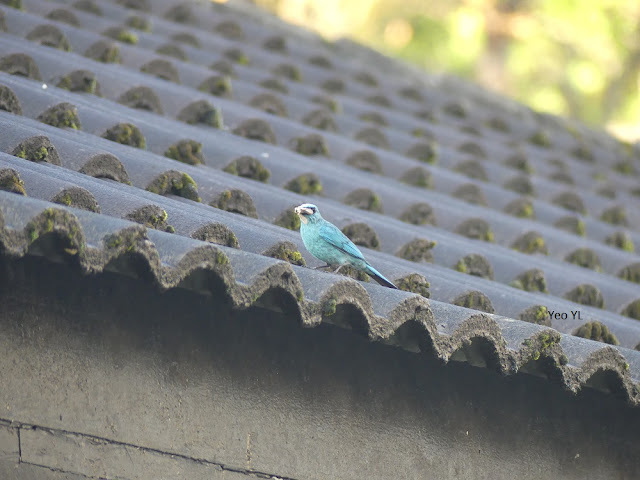 Another pair of male and female LP Flycatchers were seen further down the Old Gap Road of Fraser Hill, together with a juvenile. 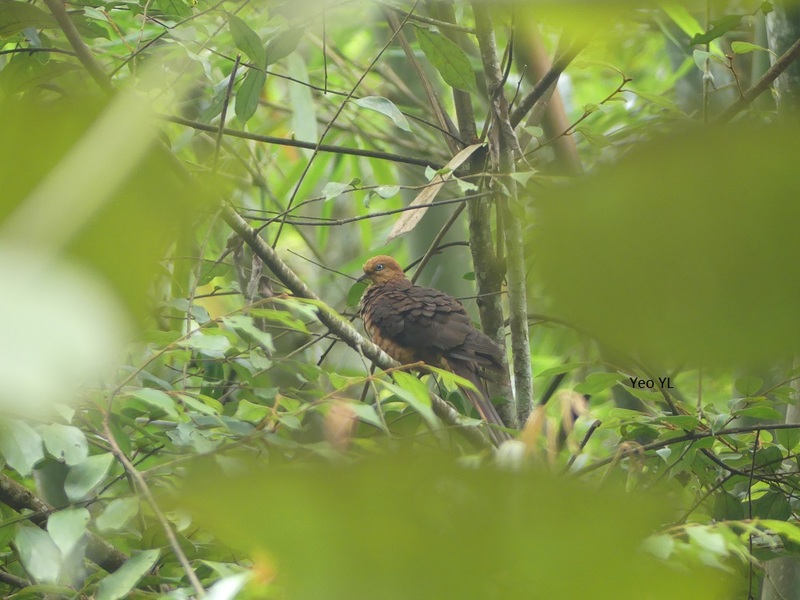 Little Cuckoo Doves were flying out of the greenery growing alongside the slopes of Old Gap Road. These doves flew quick and fast out of the greenery across the road. Saw this individual Dove which perched for a while. Heard their soft "Wuck-wuck" calls throughout the walk. 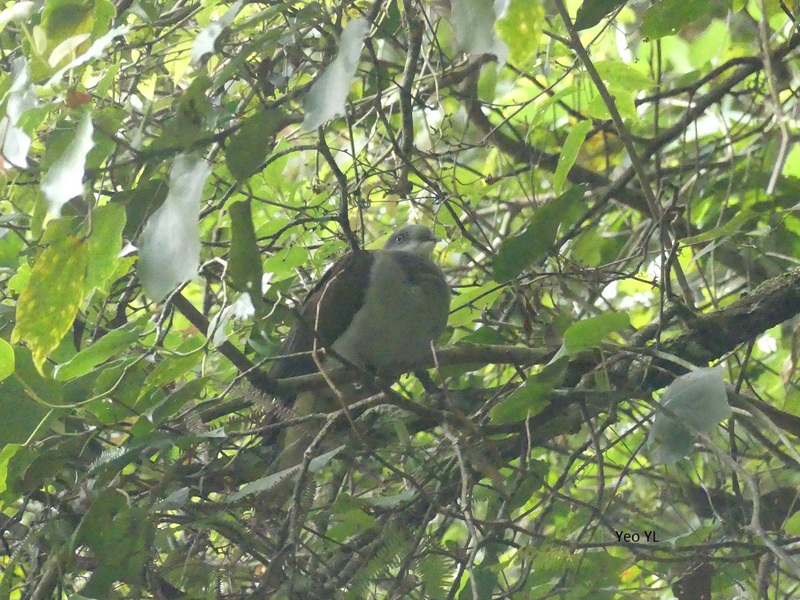 Mountain Imperial Pigeon was perched almost above our heads on a tree at Old Gap Road. It lives up to its size description which is that of a small chicken:) This pigeon has a deep booming call. Wonderful Sunday morning at Sri Berkat bungalow. We witnessed a bird wave just outside the bungalow. 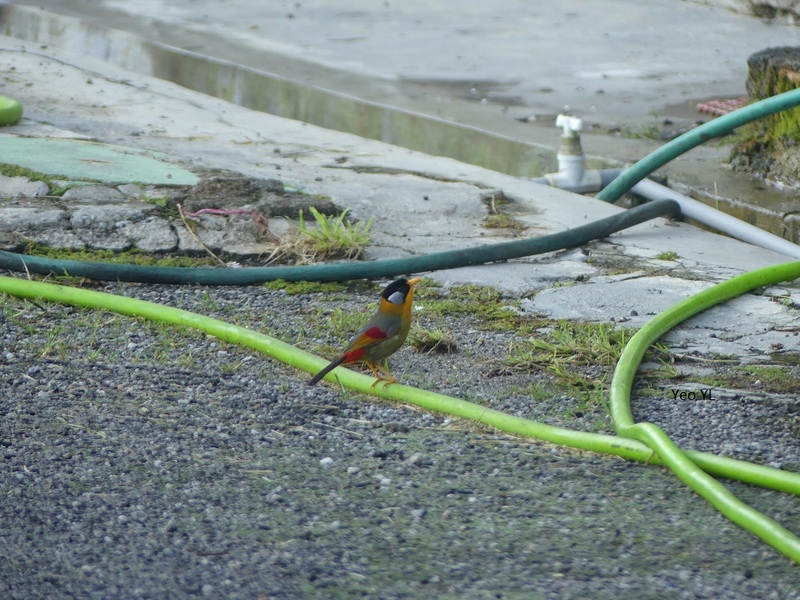 Resident birds of Fraser Hill came to feed on the insects that were strewn all over the car porch and roofs. 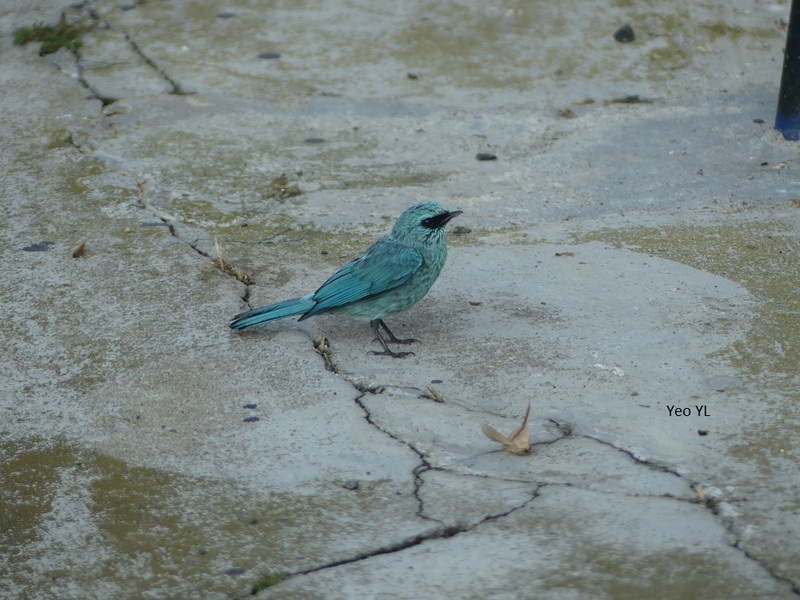 This included the Verditer Flycatcher which I've never had the privilege to observe at such a distance. 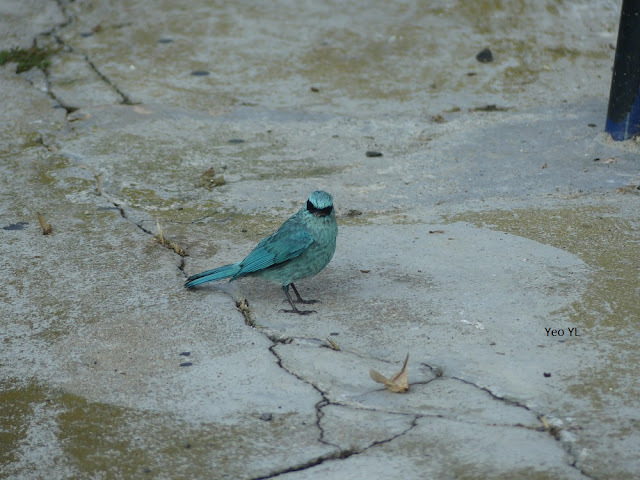 The Verditer literally flew from the rooftop, landed on the cemented pavement and hopped right up to give us a quick glance. Distinct black mask across the eyes of this flycatcher. The Verditer with its insect catch of the day. Time for breakfast! Flying down from the roof to take a closer look at the occupants of the bungalow. 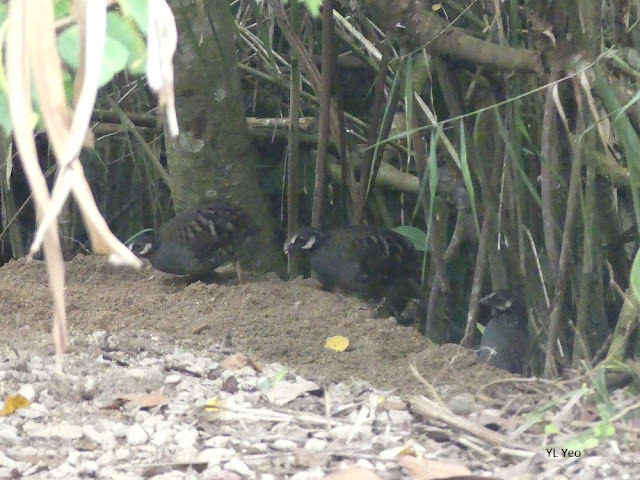 Birds had a buffet spread of insects at compounds of Seri Berkat that morning. 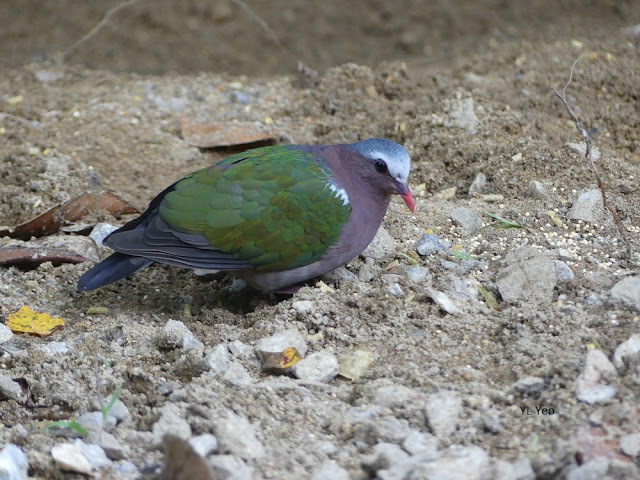 We were very lucky to witness this bird wave literally "in our doorsteps" since many of us were getting ready to head out and look for the Wedge-Tailed Pigeon at High Pines. 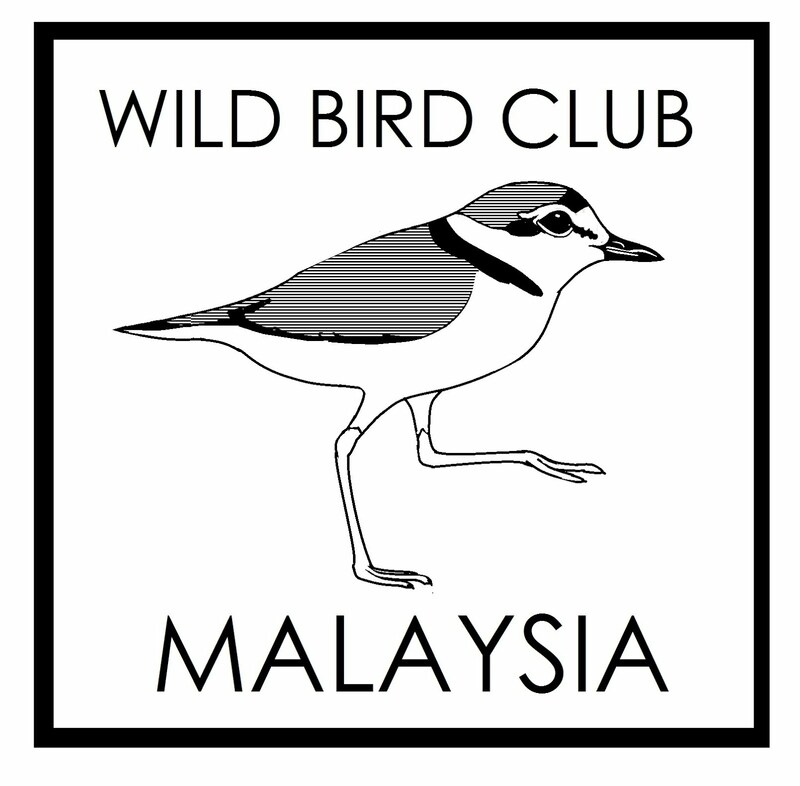 Sunday free and easy birdwatching for us member of the Wild Bird Club of Malaysia after having concluded a joint event with the Fraser Hill Community Library, the day before. Fraser Hill, the Little England of Malaysia (the place which rekindled my love for birdwatching) was the destination point for the Wild Bird Club of Malaysia's first outreach program. It was a joint event with Fraser Hill Community Library, on 11th June 2016. 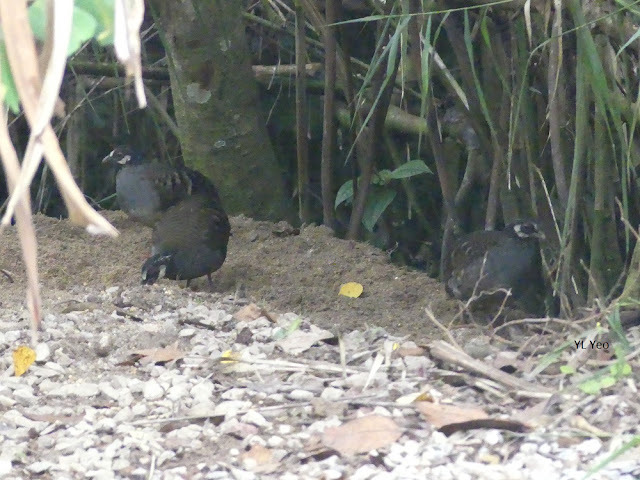 The second day, 12th June was all about the birds. Maye and myself went around Fraser Hill after early morning spent at Seri Berkat admiring the birds that flocked outside the bungalow, feeding on the insects that were on the roofs and walls of the bungalow, as well as on the tarred road, and all over my car. 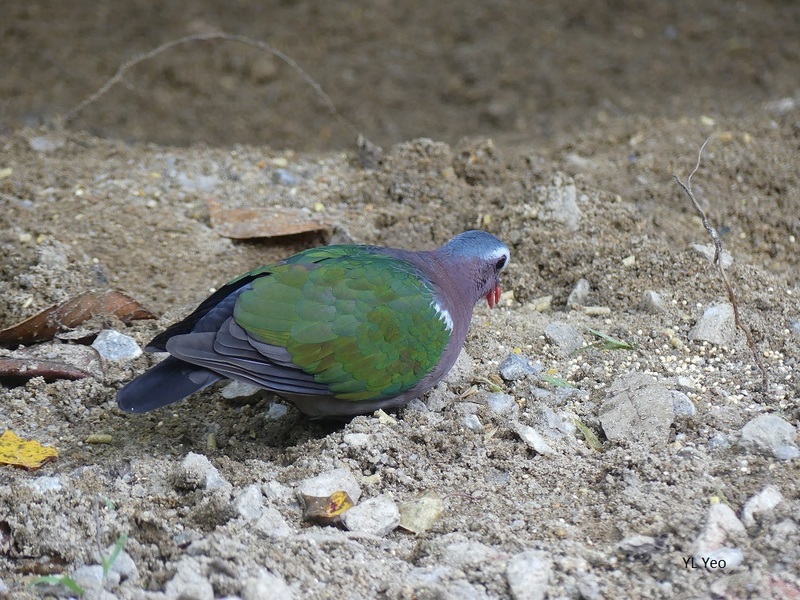 We went looking for the Wedge-tailed (Green) Pigeon but it didn't show up that morning. 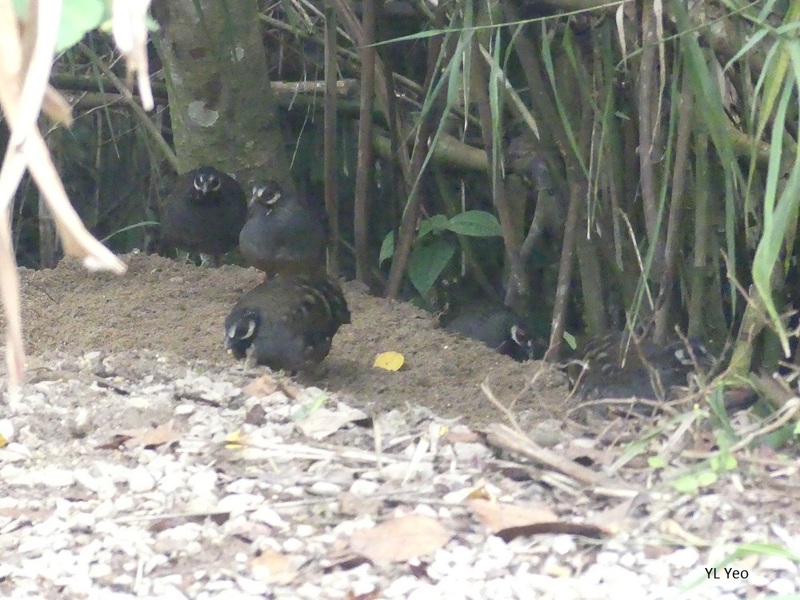 We continued birdwatching along Jalan Lady Maxwell, the Old Gap Road before making one last unscheduled birding stop at Richmond Bungalow. 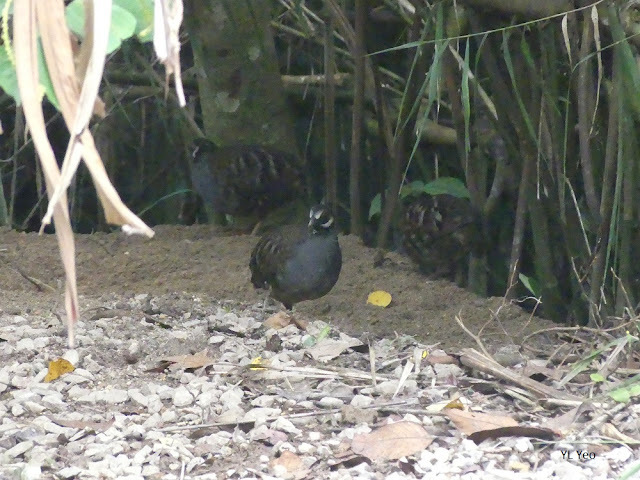 Both Maye and myself saw some of the best birds at this last stop. Three beautiful MHPs of Fraser Hill. Still trying to find the video function in my Panasonic Lumix but to no avail. I was just too excited and awe-struck by the appearance of these Hill-Patridges! 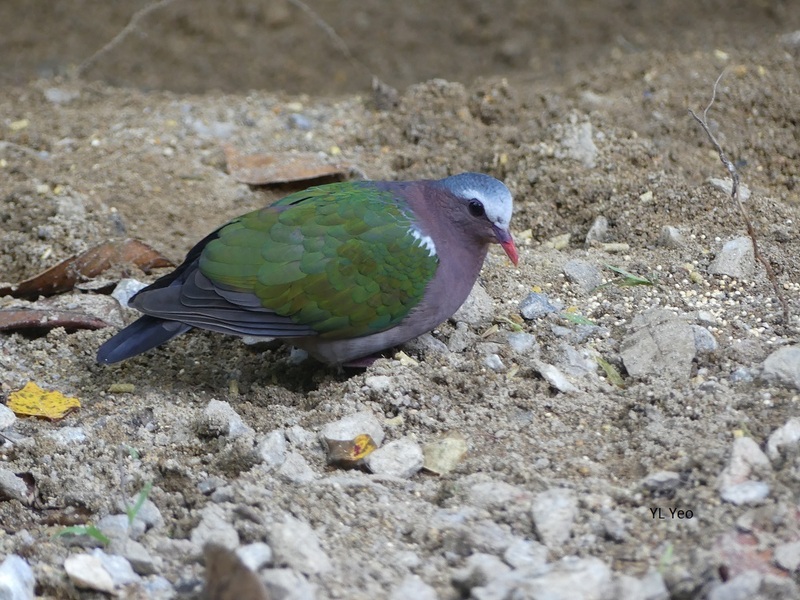 One of the Malaysian laughingthrush got too close to the Emerald Dove's "territory" and was chased away by this Dove. 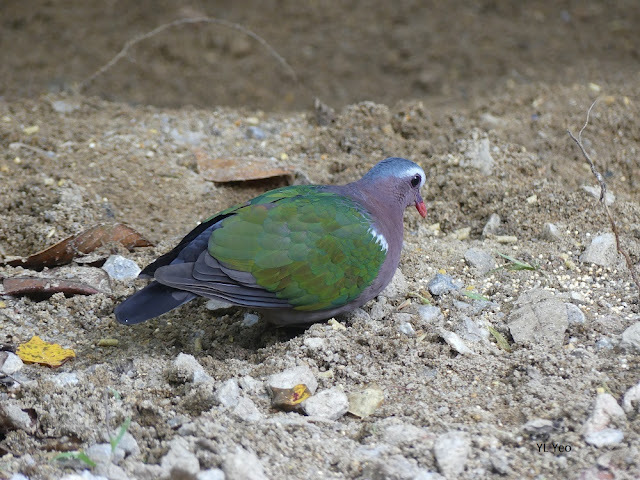 One feisty Dove! Emerald Dove really lives up to its name. Used to be called Green-winged Pigeon. 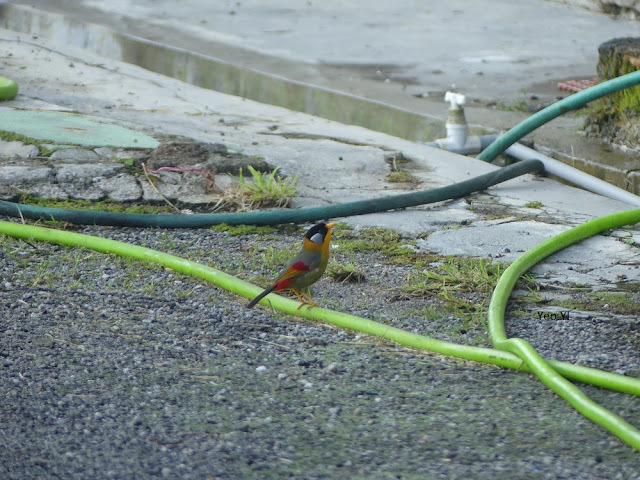 Almost noon when we ended our birdwatching session in Fraser Hill. 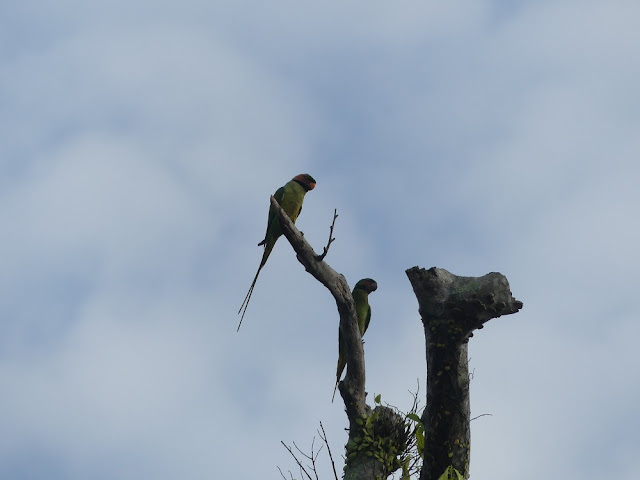 A flock of long-tailed parakeets flew over us as my physio buddy, Jules and myself reached the Shah Alam Botanical Gardens that Sunday, 5th June morning at 7.20am. It was a really good birdwatching start to the day to see this vocal flock of parakeets. 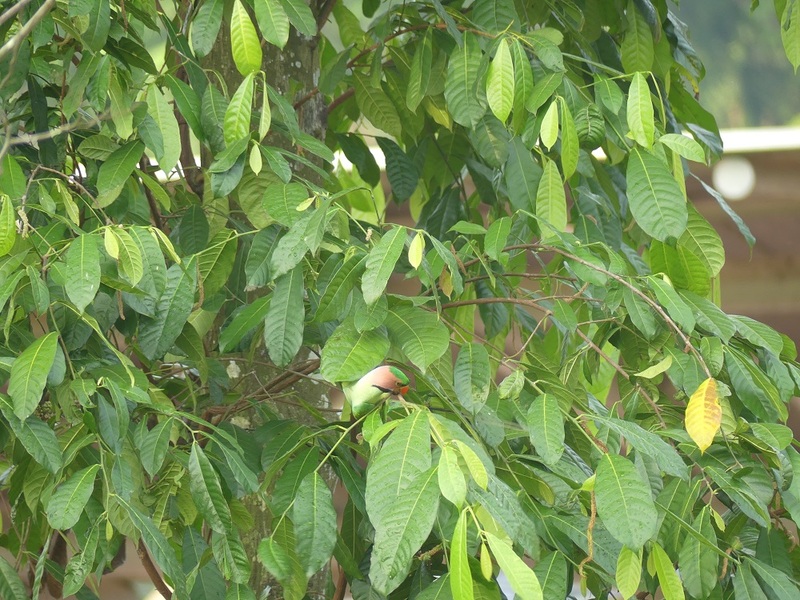 Once we reached the entrance of the Botanical Gardens, a few parakeets landed in this tree to feed on the fruits. 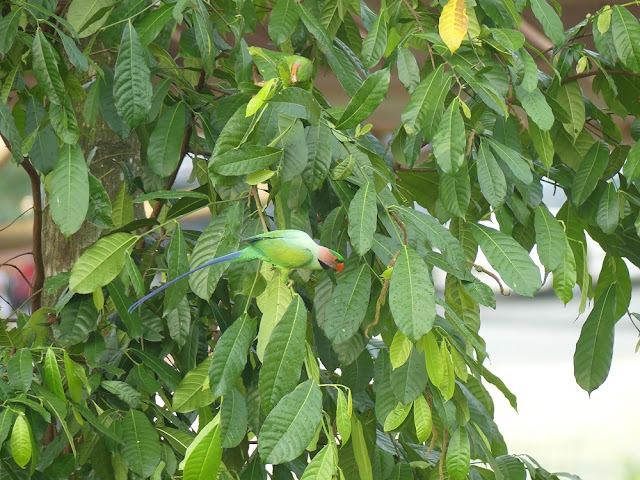 Their lovely green plumage blended with the colour of the leaves. 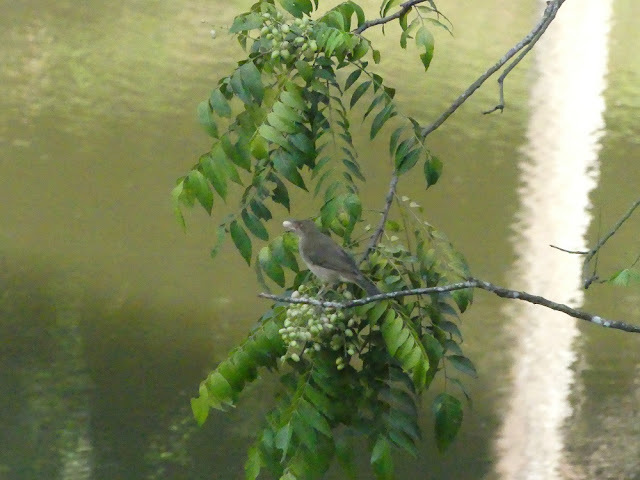 Could see pinkish sides of their face and beak, as they deftly walked on the branches. The male long-tailed parakeet had much brighter pink on their face. 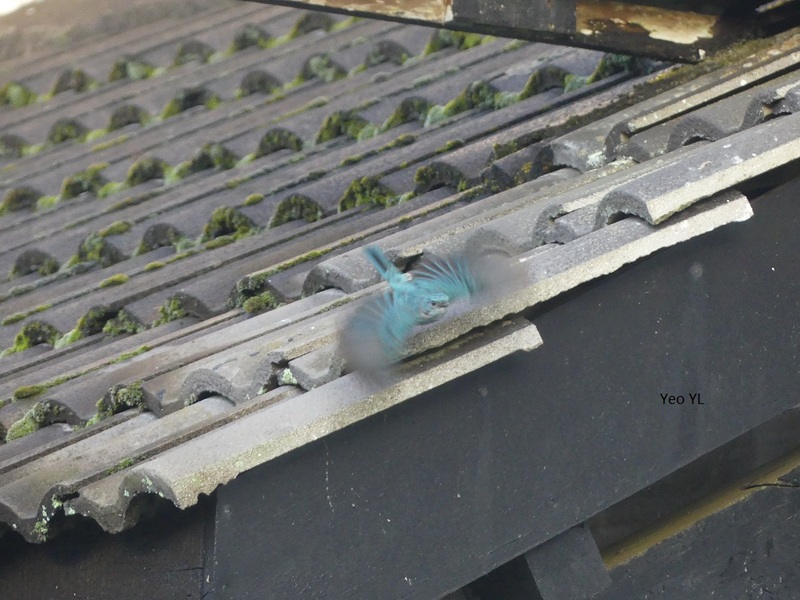 Long blue tail streaming out from the green body of the long-tailed parakeet above. 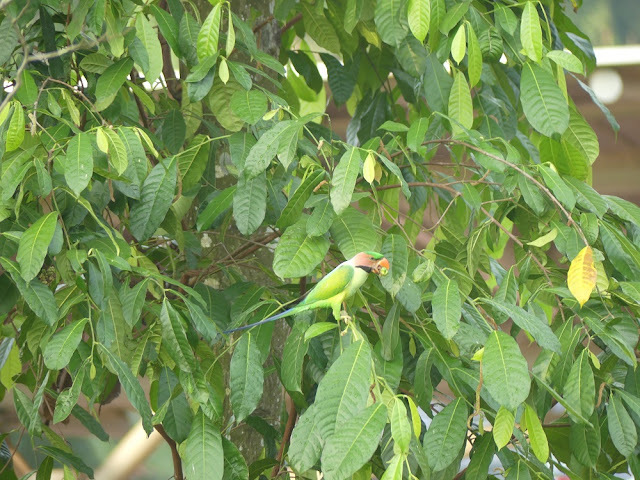 Busy having their breakfast of fruits from this tree. 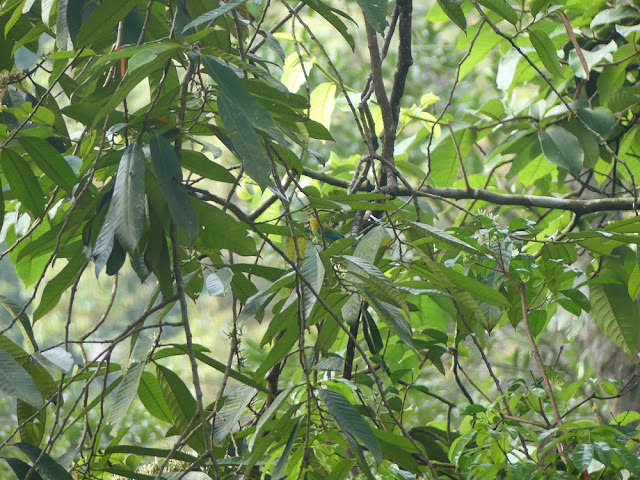 Can just make out the parakeet's head below as it was busily plucking away at the fruits. Blue-winged leafbird was seen later that morning in the Botanical Gardens. Pleasant surprise to encounter the Stork-Billed Kingfisher below near the lake of the Shah Alam Botanical Gardens. 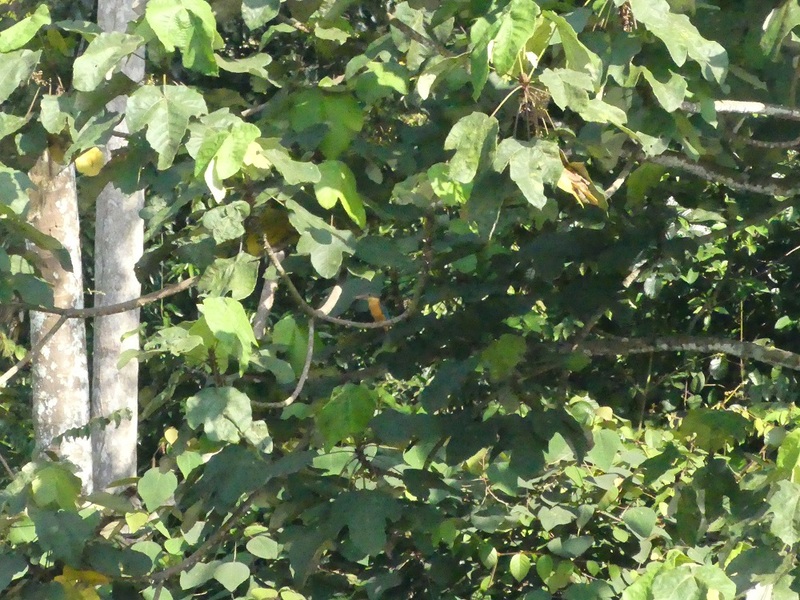 The solitary Stork-billed kingfisher perched for quite sometime on this branch by the lake. 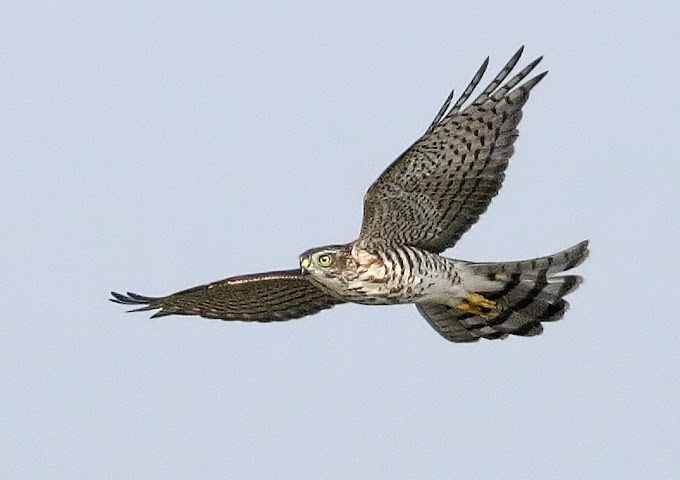 It then flew across the lake, in front of us birdwatchers before disappearing into the thicket of trees and bushes. Azure blue colours of this kingfisher's plumage stood out when it performed this fly-pass. The Shah Alam Botanical Gardens website is worth visiting. Surprised to find out that there is public swimming pool inside the Gardens and fee charged is RM3 per adult and RM1 per child. Olive-winged bulbuls were busy feeding on the fruits of this tree by the lake. 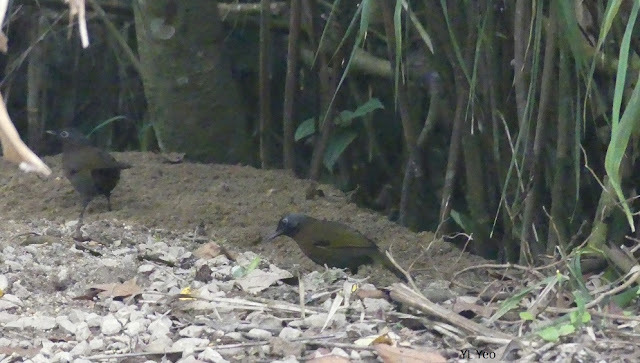 I missed the Sooty Barbet though. 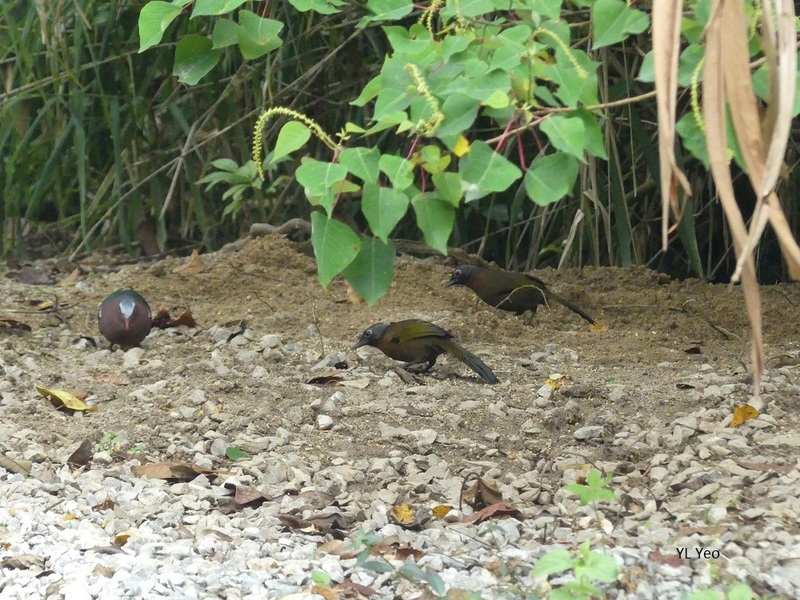 It was also seen feeding together with this flock of Olive-winged bulbuls. Ruby-cheeked sunbird was hopping around in this tree together with the bulbuls and Sooty Barbet. Shah Alam Botanical Gardens birdwatching outing was organized by the Selangor Bird Group of the Malaysian Nature Society. We were led by Mr. Andy Lee, Mr Mark Ng, Mr Lee Keen Seong and Mr Low Kok Hen. 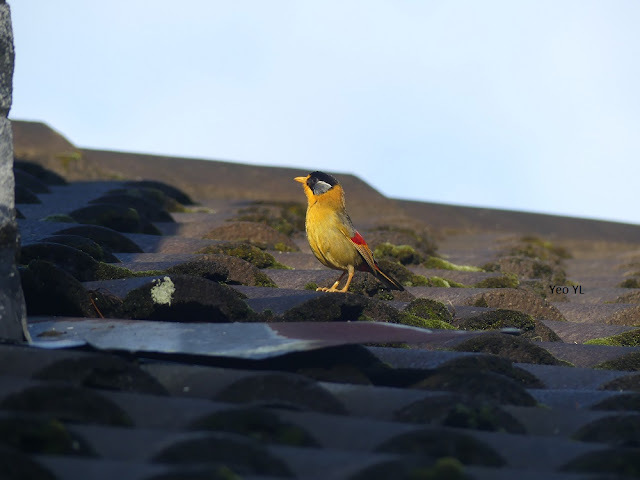 Walk started at 7,30am and ended at 10am, with total of 30 bird species seen and recorded during that time. Jules and I left for our brunch at the Plaza Shah Alam Shopping Mall by 11am. It was unbearably hot at that time - the air-conditioning inside the Plaza was a welcome relief. Note to self - there is a Pelita Nasi Kandar restaurant at a well-hidden corner of the Plaza.